After my father's passing my brother Ethan was speaking to a rabbi, a friend of the family who knew us all very well. He knew all four brothers and my father. My brother was describing my father, as he saw him, as he knew him. But each of us, each of the four sons, described my father differently. Then the rabbi made a remarkable, very wise, insightful observation, Ah, that is a tati (father, Yiddish), he is a different father to each of his sons. A good father knows that each child is different and each requires a different approach. What works for one will not work for another. Like the classic four sons in the Passover literature each son has his unique qualities. One must be a different father to each of his children. To do so a father must read and understand each one of his children correctly. This takes wisdom. It is the same with a teacher. We say that if a rabbi gave a certain "decision" or ruling, (psak, Hebrew) or piece of advice to one disciple it is "non transferable". I.e. An answer given to me may not be used by my friend, for we are different and the rabbi may have ruled differently. There are subtleties in the case that we may not have noticed but the rabbi did. Like a passport, it is non transferable. Each person is unique. It is the same with a teacher. Each student is graded and evaluated differently, each student is taught differently. A tone of voice that is appropriate for one student may totally offend another. A word that will inspire one will offend another. The art of teaching is finding that which works for each person. Of course a student must also learn to understand the teacher. My mentor and friend Prof. Arthur Cohen told me years ago that my first guideline, my first goal, in teaching a seminar, is not to hurt anyone. I must admit this came as a shock to me. I had been training in schools where not only was violence accepted but being hurt was seen as a badge of honor. Hitting students was commonplace, and if you complained you were a wimp. Bruises, broken teeth, broken ribs were signs of honor. But Prof. Cohen opened my eyes. Like the father a teacher must know how much each student can be pushed, and how. Our goal is to teach everyone, not only those who survive a baptism by fire. Our goal is not to hurt but to prevent physical pain, to teach self defense so that people do not get hurt. Now there are those who want to be abused, there are those who feel if they go home without a few bruises they did not get their money's worth. There are those who get excited by this and are actually aroused by the sense of violence. But the question is, is that the best way to learn? As my friend Hal Herndon wrote to me It’s a real shame that the “tough guy wannabes” rarely (if ever) understand that the only way you can actually end up being as “tough” as they wannabe is to train and train slowly and properly. The speed, accuracy, instincts and “toughness” will always come out when it is needed. Forcing it simply causes unnecessary injuries, sloppiness in an actual conflict and potentially fatal mistakes…..Just my opinion. Our goal is to teach. And we must do that in the most effective and sensible way possible. There is a time and a place for aggression. There is a time for fear and the Adrenalin rush. There is a time to speak, and a time to remain silent. There is a time to correct a student and a time to simply observe. Sometimes a student needs time without being constantly corrected. Sometimes a teacher needs to step back. 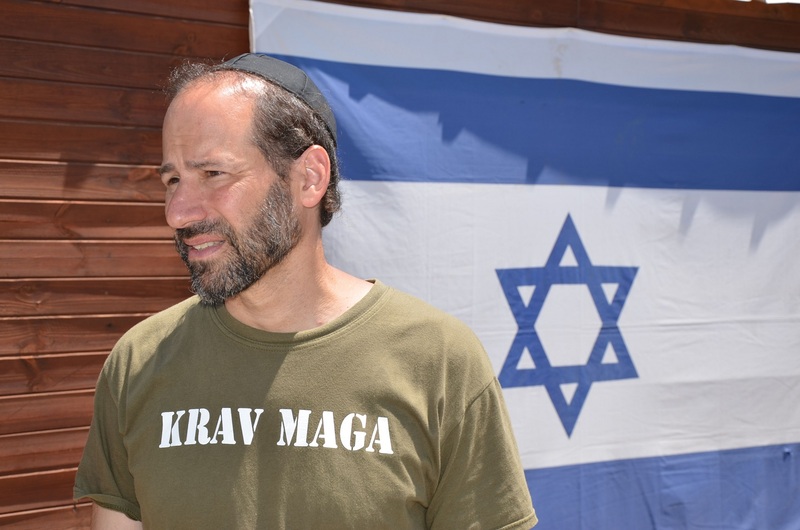 There is an art to being a teacher and it goes far beyond Krav Maga techniques. It takes years to become an effective teacher. I am privileged to have come from a long line of teachers. I am privileged to have trained under many outstanding educators. In this world of automated responses, in a world where we are greeted by an automatic voice answering machine rather than a person, I still believe that nothing beats human contact. We must read each individual and be a different teacher to each of our students, a different father to each of our children. Our on line program is not an automated program. Each students has direct contact with an instructor and is guided individually. All questions and concerns are address. 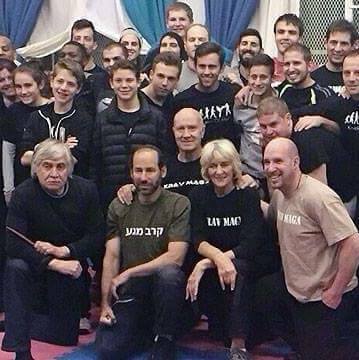 Invite Moshe for a Krav Maga seminar. Learn directly from the source.